When you are a part of the DC police special operation division, responsible for escorting the President, the Vice President and foreign dignitaries, you are expected to know and respect the streets of Washington, DC. That’s William Torres: founder of DC Trails; and along with his entrepreneurial wife Linda, the two bring over 50 years of experience and expertise of travel and tour in and around Washington, DC. Our record speaks for itself. 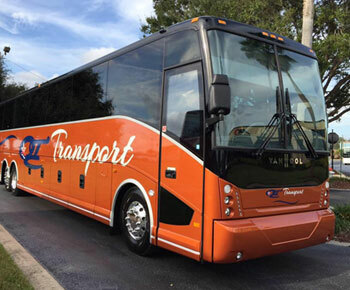 Over 3,200 active and recurring clients choose our buses to transport 1,000,000+ satisfied passengers over 4.5 million safe miles annually. Since our inception, we have earned the highest rating given by the DOT (Department of Transportation). In addition, we have consistently been awarded the highest rating from the DOD (Department of Defense), who certifies us to transport military personnel throughout the United States. William and Liliana Torres combined efforts in 2003 to build the largest and most comprehensive transportation business in the region. William founded DC Trails in 2000. A veteran and former motor officer assigned to the DC police special operation division, William has been serving the public for almost 30 years. William gained his leadership and mechanical experience, while heading a platoon responsible for the transportation needs of his division. William brings to the operation and maintenance of our fleet of 60 buses, the same care and attention to detail that he learned in the military. He developed his passion for driving and fixing large commercial vehicles (buses and trucks) as a young child, while hanging out with his father, a truck driver. 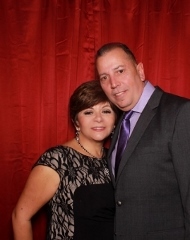 A brilliant businesswoman, Liliana co-founded our sister company, Quality Tour Transport in 1989. She brings over 20 years of experience to managing our strategic business and customer service operations. Born in Lima, Peru, Liliana graduated from Lima University with a degree in Industrial Engineering. She developed her entrepreneurial spirit from her father and family, who ran a very successful factory and chain of children’s stores. DC Trails represents another in a series of successful transportation companies built by Liliana. 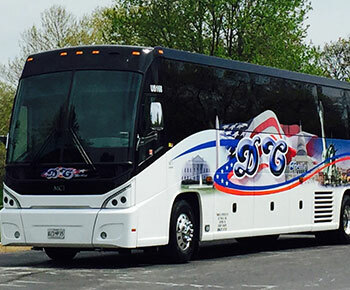 Thank you for using your Washington DC touring company: DC Trails… the Ultimate Touring Experience! Contact us, sit back and enjoy the ride.